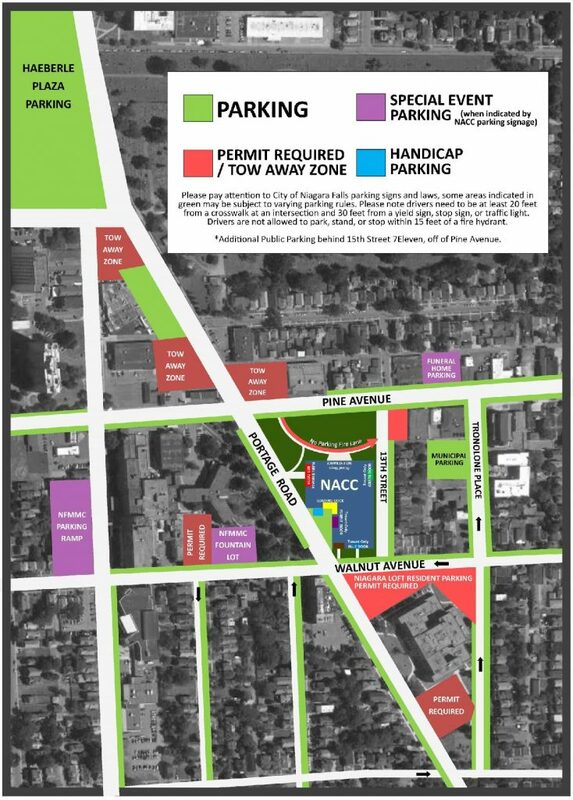 Motor coaches, school buses, and handicap vehicles may drop off on the circle driveway on Pine Ave. The Niagara Arts and Cultural Center is not responsible for parking violations. The Discover Niagara Shuttle is running daily, bringing passengers to 15 amazing destinations free of charge! The last shuttle visits Youngstown at about 5:30pm Sunday-Thursday and 11:30pm Friday and Saturday, headed to Niagara Falls.